Islam teaches people to be truthful and maintain a sound moral standard. 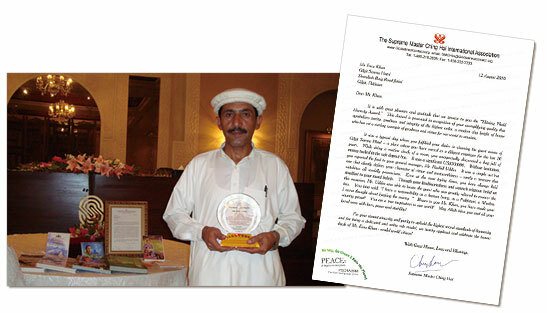 Mr. Essa Khan, an ordinary man from Pakistan represents just that. While cleaning and doing a routine inspection of a room at the Gilgit Serena Hotel in July of last year, Mr. Khan who has worked at the hotel for 20 years, found US$50,000 in a safe deposit box that had been left behind by a Japanese guest. Without hesitation, he notified the hotel management of the money and the General Manager, Mr. Rashid Uddin, was able to contact the guest and return the funds the next day. Bravo! Mr. Khan, you have made your country proud! You are a true inspiration to our world. May Allah bless you and all your loved ones with joy, peace and stability.